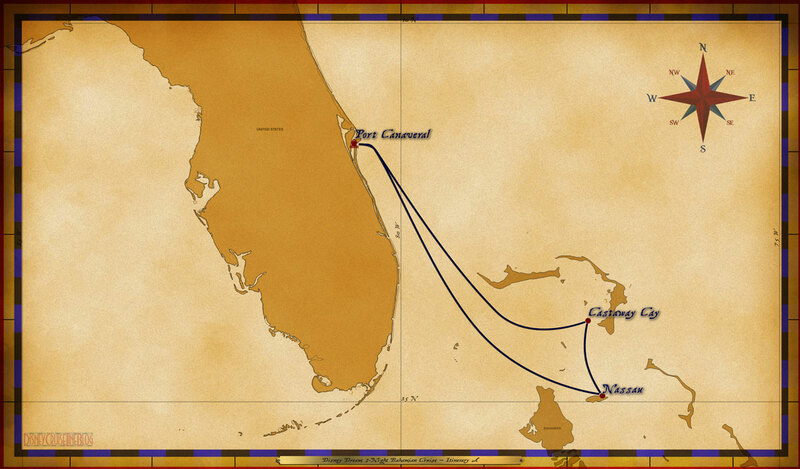 Personal Navigators, and other handouts from the 3-Night Bahamian Cruise from Port Canaveral. The Disney Dream set sail from Port Canaveral on December 28, 2015. There are additional Personal Navigators from other sailings of this same itinerary for comparison. Walt Disney Theatre Production – Villains Tonight!